Presentation of ganesh idol by Shree Siddhivinayak benefit Society Pvt Ltd following Shree Ganesh Worship and rituals. Prana pratishtha on first day. In 2014 it starts on 29th August. Modak Naivedya and Prasad Vitarana. Madhyanha Pooja, Sahasra Bhojana Seva, Annadhana Seva and maha Santarpana. Every year GSB mandal have various social activities and cultural programs like Bhajan and sangeet, Sitar Vadan by Ladies Group and other famous singers around India on multiple days during festival period. Following with cultural activities like Haldi Kumkum etc. On a special day generally Sunday they have fun and competition activities along with social camps like blood donations with competitions like fancy dress, drawing, music and chair, comedy shows. Later they also encourage children and students by giving prizes and on final day the Maha Aarti of visarjan. Ganesh Visarjan of GSB Mandal starts at 5:30 in Evening and below are the routes from which the beautiful ganesh idol darshan can be taken. Girgaum Chowpatty (Visarjan Point). Kindly note that Visarjan date for 2014 is 2nd September. Sion Main Office : Shree guru ganesh Prasad, Bhookailash Nagar, Near Sion Fort, Sion East, Mumbai 400022. Contact : 24078147 & 24078226. King’s Circle Office : Ganeshotsav Pendol (Pandal / Mandal), Sukriteendra Nagar, Near SNDT, Mumbai 400019. Contact : 9769131219. Dombivli Office : Patil Bhoir Apartment, 3rd Floor, Near Municipal Office, Dombivli East, Mumbai 421201. Contact : 9920809547 / 0251-2440708. Kurla Office : 5/ Yash Karma Investments, Munisuvrat, Near Kailash Hardware, LBS Marg, Kurla West, Mumbai 400070. Contact : 9322606072. Mulund Office : Maharashtra Seva Sang, Ground Floor, Next to Apna Bazaar, J N Road, Mulund West, Mumbai 400080. Contact : 25912073. Vikhroli Office : Tritek Computers, C Wing, First Floor, Gala A/112, Kailash Industrial Complex, V S Marg, Park Site, Vikhroli West, Mumbai 400079. Contact : 9819093333. Prabhadevi Office : Sukriteendra Cooperative Society, 5/Siddhiprabha, Sayani Road, Prabhadevi, Mumbai 400025. Contact : 2360171. Dahisar Office : Shri Kashi Marg, Vitthal Rukumani Temple, Dahisar East, Mumbai 400068. Contact : 28484333 & 9769301333. 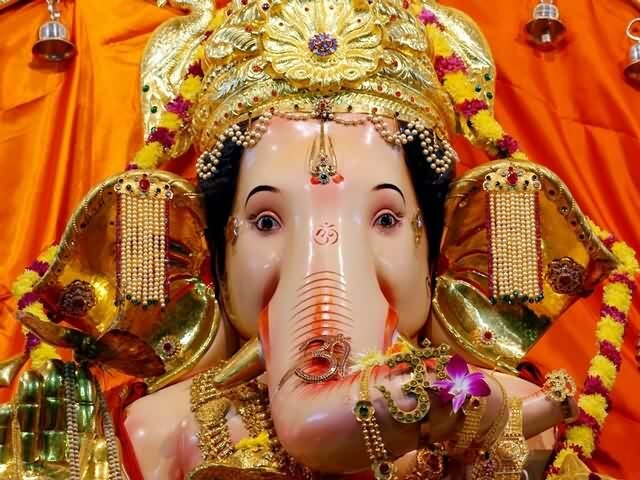 See Also : Lalbaugcha Raja Pictures Since 1937 & Famous Khetwadi Lane Pictures, Lalbaug Ganapati Details, Visarjan Videos.